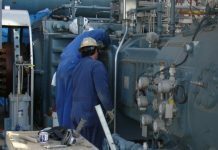 Experts worldwide agree – the only way to ensure safe, reliable, efficient, economical operation of reciprocating compressors is to monitor them continuously and take appropriate action based on the information the monitoring systems provide. That simple objective, however, is difficult to put into practice. The variety of instruments, systems, and methodologies for machine monitoring and diagnostics can be perplexing. Descriptions and claims are sometimes similar, sometimes conflicting, and almost always confusing. To help provide clarity for your decision process, we offer this plain-language guide to system selection. It lists the essential capabilities a system should have and explains why those capabilities are needed. This is the culmination of more than 20 years of experience in developing and applying monitoring and diagnostics systems around the world. We sincerely hope our depth of experience will be of assistance to you as you evaluate and implement a system for your operation. Why It Matters: Systems should be scalable in two ways. First, they should be functionally scalable, allowing new or additional capabilities, such as measuring loops, to be added to an installed system without inordinate cost or difficulty. Second, systems should be scalable in magnitude. In other words, a system should offer a means to expand monitoring to additional machines. Scalability allows you to take advantage of new developments and keep your system state-of-the-art. As your needs change and your experience with a system grows, you will likely wish to extend coverage to other machines. A truly scalable system provides a simple, cost-efficient pathway for growth. Monitoring systems should consist of modules that fit together as building blocks to form a system that meets your individual monitoring requirements. To add capabilities or coverage for other machines, you simply “plug in” new modules. This allows you to focus only on those capabilities you really need (monitoring “bad actors”) in the beginning and then grow as necessary. In other words, think big – start small. Functional scalability is dependent upon your vendor’s commitment to continual system improvements. This commitment is demonstrated in the frequency of system enhancements such as software updates. Your vendor should invest in ongoing research and development to make regular system updates and upgrades available. Why It Matters: Detecting the presence of an anomalyis one thing. Defining and pinpointing it is another. Your monitoring system should not only warn you about problems, but also provide an accurate diagnosis with specific component identification, location, and indication of the extent of damage. Armed with this information, you can make wellfounded decisions about the maintenance procedures you need to take and when you need to take them. There are no shortcuts in developing a system for automated diagnoses. An accurate, detailed understanding of a problem is acquired only through extensive experience in machinery monitoring. The reason is clear: when a monitoring system detects an anomaly, it compares its characteristics with an integrated, experience-based failure mode database. A match of this anomaly with a real-life failure pattern leads to an accurate, reliable diagnosis. Equally valuable is the message your system communicates to you. In the event of a positive failure pattern match, alarm, or shutdown, you need answers. Modern systems should provide clear communication about the cause for the alarm. For example, the message “Discharge valve leakage, cylinder 2, match 89%” gives the cause of the problem, location of the problem, and confidence in the diagnosis. Two additional considerations: first, be wary of systems that claim “expert diagnostics routines,” but lack dedicated recip know-how. Precise diagnoses cannot be performed without powerful and intelligent algorithms. Second, think about the capabilities of even the most sophisticated diagnostic technologies and the messages they generate. Is it realistic and reliable for a system to issue an impending damage report that identifies a screw (with its part number) that has to be tightened? Why It Matters: The days of time-based maintenance are over. State-of-the-art monitoring technology gives you the ability to apply condition-based maintenance, reliably detecting developing failures and intervening before breakdowns have an opportunity to occur. Early failure detection prevents machine damage, enhances safety, avoids unplanned machinery shutdowns, and reduces costs of operation. Success depends on the ability to accurately identify mechanical defects at an early stage – regardless of operating conditions – without issuing false alarms. 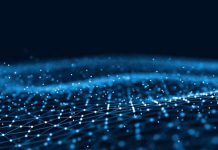 Accurate anomaly detection is accomplished by capturing a complex array of signals and analyzing them in a way that allows even minor changes in incoming signals to be recognized. By detecting slight changes and understanding their consequences, early failures are detected – and false alarms are avoided. This type of in-depth intelligence demands a monitoring system that has been developed specifically for the unique behaviors of reciprocating machinery and perfected through decades of field experience. Why It Matters: The most important and well established technique for machine monitoring is vibration analysis. However, not all vibration analyses are the same. Seemingly minor differences in data acquisition and evaluation strategies can have a dramatic impact on the quality of signal diagnoses. Choosing the proper mathematical evaluation method is the key to reliable early failure detection and machine protection. First, monitoring systems should continuously acquire and diagnose machine vibrations for each crank revolution and then segment signals into crank-anglerelated portions. This allows harmless, but sometimes erratic, machine behavior to be rightly identified as a “good condition” – thereby avoiding false alarms. PROGNOST Systems invented segmented vibration analysis in the late 1990´s and has since determined that the best approach is to subdivide the 360° of one revolution into 36 segments of 10° crank angle each. This is the most accurate proportion of an average impact width related to one revolution. Second, vibration signals must be evaluated using the most accurate mathematical analysis. For reciprocating machinery, only RMS (Root Mean Square) analysis is proven reliable. RMS analysis is superior because it considers not only amplitude, but also the energy content of an impact. Why It Matters: No monitoring system user should be left alone. The importance and complexity of a full-function monitoring system require ongoing support from your vendor so you can exploit the full benefits of the system and maximize your Return On investment. The support you receive should come in the form of training and assistance to help you fully utilize your system, as well as in continuous product development to keep your system state-of-the-art for the longest possible time span. Choose a vendor that provides uninterrupted services. Evaluate initial training programs. Make sure customer support teams are available as soon as your system is installed – including 24/7 hotlines and as much diagnostic service as you require. Remember, the most beneficial customer support contracts are those that give you flexibility. The amount of support you need will decrease over time. Look for service contracts that allow you to step-down the level of support, enabling you to pay only for the services you need as you and your personnel grow in knowledge of the system. Why It Matters: A reliable, full-featured monitoring system requires a solid number of installations and many years of field experience. No amount of “laboratory“ testing can duplicate the conditions of one actual operating environment – much less the characteristics of many different operating environments over extended periods of time. What assurance do you have that your monitoring system will perform as promised? How confident are you in the accuracy of the diagnoses your system generates. of their monitoring system. Ask for references. Contact as many of them as possible. Better still, visit user sites whose environments most closely match your own. Input from vendor representatives is useful. However, uncensored comments from genuine users are invaluable in deciding whether a prospective system will meet your expectations. Why It Matters: The benefits of optimal compressor performance are clear: improved operating efficiency, reduced energy consumption and increased productivity. Tracking performance can also provide other benefits, such as early warning of impending gas leakages. Unfortunately, losses in efficiency often go undetected by many monitoring systems that focus on vibration, piston position and temperature only. Machine efficiency – like other key parameters – should be monitored continuously. such as compression cycle, piston rod load, and piston rod reversal. Monitoring systems should compile all this information to give you a comprehensive view of your machine efficiency and identify the steps needed to maintain optimum performance. Why It Matters: It is important to understand what SIL certification means – and what it does not mean. SIL (Safety Integrity Level) ratings were established to define a metric for evaluating a system’s level of operational reliability with regard to safety, as defined by IEC 61508. As it applies to machine monitoring systems, a SIL rating refers to the probability of failure on demand of the protection system. A key point to remember is that SIL ratings have nothing to do with monitoring precision, which is represented by false trips and missed detects. Keep in mind that, before a SIL rated protection system comes into play, operators have to determine the appropriate SIL rating for the machinery that has to be protected. In other words, IEC 61508 is a risk-based standard and, in order to apply it, criteria for the tolerability of risks must be established for the machine, e.g. a HAZOP study must be carried out (Hazard and Operability). Some marketing phrasing, such as “SIL ready” or “Equates to SIL,” can be puzzling. However, there are two ways to clarify the confusion. First, look for a monitoring system whose vendors provide genuine SIL certificates issued by recognized certification institutions. 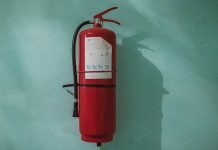 Keep in mind that the SIL rating must cover not only the safety system itself, but also the inherent components in the safety loop from sensor to the ESD (Emergency Shutdown Device). Second, be aware that SIL ratings should not only be high, but relevant to your application. For instance, SIL certification for monitoring over-speed protection is of no significance to a reciprocating compressor user, but a rating for a safety system that performs segmented RMS vibration analyses may be significant for your machine. You can expect a protection system with specialized capabilities for reciprocating machinery to be rated as high as SIL 2. Why It Matters: The enduring popularity of reciprocating compressors is due in part to their flexibility. Their ability to handle different loads, speeds, volumes, and gases makes them a favorite for operators – and a nightmare for failure detection modules in online condition monitoring systems. The reason is that varying operating conditions often result in dynamic changes of machine behavior – for example, the vibration fingerprint. Detection of these operating condition changes and the alignment of the threshold setting in parallel can be extremely complex and – if not done properly – will lead to inaccurate results. Operating condition definitions and their corresponding threshold settings can be set manually – but it takes weeks to drill down the entire set of thresholds for all analyses, for all measured values and for all operating conditions. Look for a monitoring system that performs these adjustments automatically. After a short learning phase, state-of-the-art applications automatically identify changing operating conditions – based on trend data of the machine – and precisely adjust all affected threshold settings in real time to avoid false alarms and missed detects. Why It Matters: Rod position analysis is more than just an indication of wear. The most effective monitoring systems incorporate rod position measurement in conjunction with analyses of other parameters to identify impending failures in drive train integrity. Rod position is a valuable analysis that provides alarms and warnings about two major concerns. First, as a dynamic signal for safety protection tasks, it identifies problems with the mechanical machine integrity – such as drive train status, loose connections, overload conditions, and more. Second, rod position analysis serves as an indicator of wear, especially of piston rider rings. The machine may then be shut down to ensure protection and to perform maintenance before serious damage occurs to the rod, piston, or cylinder. rider rings only if the right analyses are applied and configured correctly. Many studies have shown significant, safety-critical problems that remained invisible with vibration measurements alone, but were detected through rod position analysis (e.g. piston rod cracks). Why It Matters: Even the most sophisticated online condition monitoring systems can perform a protection shutdown of a machine without leaving enough descriptive details to pinpoint the root cause. What option does the operator have? Restarting the machine for more evidence risks catastrophic damage. Exploratory maintenance wastes time, money, and productivity. The answer lies in a feature called transient data recording. Think of it as a flight data recorder carried on aircraft. Transient data recording allows maintenance technicians to re-run a safety shutdown, alert, or machine start-up by examining a gapless recording of all signals in an uncompressed format. Armed with this data, maintenance personnel and analysts can pinpoint root causes quickly and accurately. Bad actors can be confidently identified and maintenance activities can be carried out efficiently. In machine failure investigations, stored signal readings play a major role in reducing downtime and maintenance costs. Why It Matters: Your monitoring system vendor should share your goals for safety, efficiency, cost reduction, and environmental compliance. They should have no competing business objectives that might influence machinery health assessment results, system development, or technical support. this avoids conflicts of interest. Be wary of any monitoring system vendor with interest in selling you maintenance services or components that are vital for machinery uptime.